This is the fifth article in a series looking at the potential cannabis market in each of the eight states that approved recreational or medical marijuana initiatives in the 2016 election. Check back each week through mid-January for new entries. Click here for previous installments. Massachusetts’ new recreational marijuana industry is expected to offer many opportunities for entrepreneurs – provided municipalities permit retail MJ stores and state lawmakers don’t slow or extensively revamp the program. Last month, 54% of Massachusetts voters approved ballot Question 4 legalizing adult-use cannabis, creating one of the East Coast’s first adult-use programs along with Maine. Within a few years of the program’s launch, Massachusetts’ recreational market could generate annual retail sales of $650 million-$750 million, according to initial estimates by Marijuana Business Daily, fueled in part by tourists coming from other states in the Northeast. The state’s first retail shops could open in early 2018. Industry officials said the new program should allow dozens of licenses – if not more – in all major cannabis sectors, ranging from growers to retail shops and manufacturers. It should also generate ample opportunities for a wide range of ancillary businesses, including technology and security firms. In addition, the ballot measure doesn’t impose a residency requirement for businesses after at least a year, creating potential opportunities for cannabis executives in other states who want to expand to the East Coast. 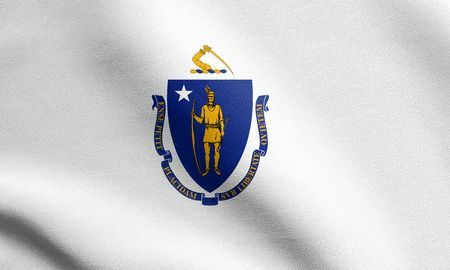 Moreover, Massachusetts’ adult-use program is expected to work in tandem with the state’s existing medical marijuana industry. However, state lawmakers, including state Treasurer Deborah Goldberg, have discussed making changes to the program. Goldberg said in November she wants to delay the planned January 2018 rollout of rec shops and would like to up the state’s 3.75% marijuana sales tax. Local selectmen also have dragged their feet in the MMJ sector. Only seven dispensaries have opened since voters overwhelmingly approved medical cannabis four years ago, indicating potential challenges for the rec market. “I think the opportunity is tremendous given the market size overall,” Fine said. Coupled with the “general infancy of the medical market” there is a lot of pent-up demand for cannabis, he added. Fine sees cultivation offering many opportunities. The slow development of the MMJ industry has left room for growth. The retail side will be attractive, too – provided business owners can find a suitable location. So far, dispensary license holders have had trouble locating their businesses, given that some municipalities have resisted the industry. As far as ancillary businesses, Fine anticipates similar opportunities as those in Colorado, with software businesses, compliance work, general construction jobs, transportation, security and testing. He also sees strong possibilities resulting from Massachusetts’ thriving tech sector. Boston has an established footprint in biotech thanks to the existing pharmaceutical companies there. That skilled workforce might be interested in a change. Borghesani sees business potential in infrastructure, including heating, ventilation and air conditioning businesses, electrical firms, as well as expertise involving cultivation and extraction techniques. “The people who have those skills will be in great demand once the industry gets going in Massachusetts,” he said. The Question 4 ballot measure does not require vertical integration. After the first year, the new state Cannabis Control Commission can decide whether to impose a statewide licensing cap. Barring that, there would be no limit. Fine, who helped draft the initiative, said the measure was written to allow for new license holders, as opposed to allowing existing MMJ license holders to gobble up the market. “We want an environment where there’s competition,” he said. However, for the first year, only the roughly 90 applicants who previously submitted MMJ applications by Oct. 1, 2015, and obtained a provisional registration before Dec. 15, 2016, will be considered for new licenses. New applicants will then have a shot at licenses after 2017. The application process should be perfunctory, Fine said, similar to applying for an ordinary business license. There won’t be any residency requirements after at least the first year. The application process includes basic requirements, including a background check and fees. The state then checks in with the town or city where the business is proposed, and as long as there is no problem at the local level, the applicant gets a license. Each municipality can decide to limit licenses and set that cap at 20% of the number of local liquor stores. That’s the lowest a cap can be set without a statewide vote. However, a town or city can ban marijuana business with a simple ballot vote. Both Fine and Borghesani believe the two sectors will coexist from a facility and an operational standpoint. Medical marijuana patients won’t pay a tax on their medicine and dispensaries will likely offer products that won’t be as readily available in rec shops, such as low-THC, high-CBD cannabis. The initiative allows for co-location, similar to the two-counter system in Colorado where customers can purchase medical and recreational cannabis in the same store. The first key date was Dec. 15, when possession and home growing became legal. The next is the appointments to the new Cannabis Advisory Board and the Cannabis Control Commission. The advisory board consists of 15 unpaid members, who meet at least four times a year. The governor is scheduled to appoint the members by Feb. 1, 2017. They’re supposed to represent a variety of industry experts who advise the control commission. The state treasurer is scheduled to appoint members to the control commission on March 1, 2017. The agency must finalize its regulations by Sept. 15, 2017. The control commission is slated to begin accepting license applications on Oct. 1, 2017. The agency has 90 days to approve licenses. By early 2018, Massachusetts could see adult-use stores open. “It’s an aggressive, but doable, time frame,” Fine said. A prospective business owner should anticipate some regulatory uncertainty, Fine said. Borghesani said the legislature has repeatedly suggested it will make changes to the law, though no clear proposal has been put forward. Among other things, he’s heard lawmakers discuss revising down the number of plants people can grow at home as well as boosting taxes and blocking the sales of edibles. Another possibility: The legislature could decide to delay the rollout by six months or a year. You wrote (above): “Each municipality can decide to limit licenses and set that cap at 20% of the number of local liquor stores. That’s the lowest a cap can be set without a statewide vote. However, a town or city can ban marijuana business with a simple ballot vote.” Not quite, from another initiative co-drafter: A municipality may “limit licenses, and may set that cap [as low as] 20% of the number of local liquor stores” by ordinance or other town board vote; to reduce the cap below 20% of the liquor licenses or ban cannabis licenses entirely, however, requires a town-wide vote to adopt such a restriction; sec. 3(a)(2)(ii) of c. 94G. “A prospective business owner should anticipate some regulatory uncertainty…” I think that is well said. It hits hard for me at home in Arizona because a former governor’s son, Fife Symington IV, is starting a greenhouse and will make no income, I bet, because there are not enough medical marijuana dispensaries to sell product and they can’t sell over state lines, I believe. What a mess.